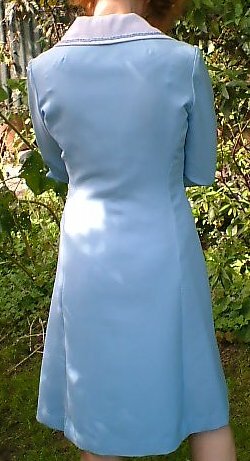 1960s vintage coat dress by Peggy French. 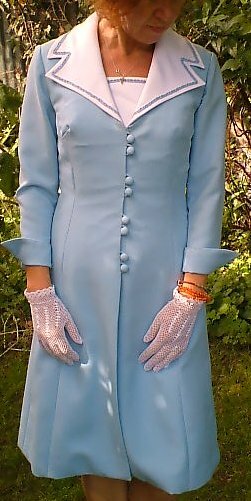 This dress dates from the late 60s or early 70s. 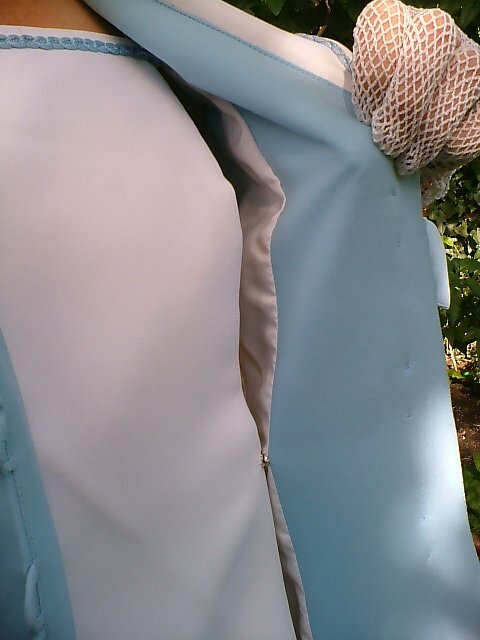 It's unusual, pretty and practical too: made from 100% polyester and fully lined, it won't crease and can be hand washed. 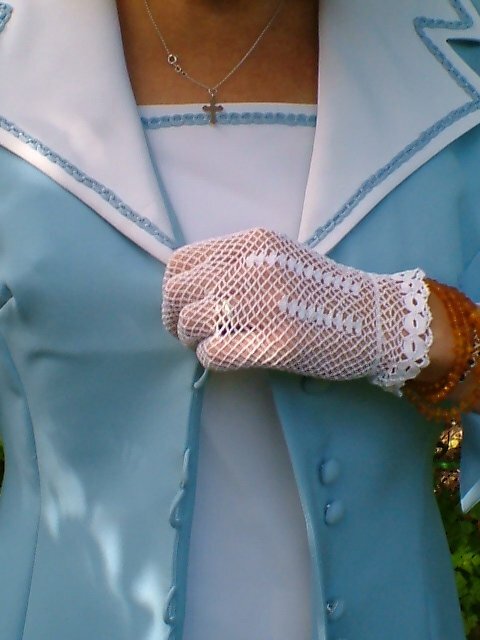 It's a fitted and very flattering shape: dress it down for work, or add heels, a hat and gloves for the poshest wedding - and don't worry about anyone else wearing the same dress, wherever you go! 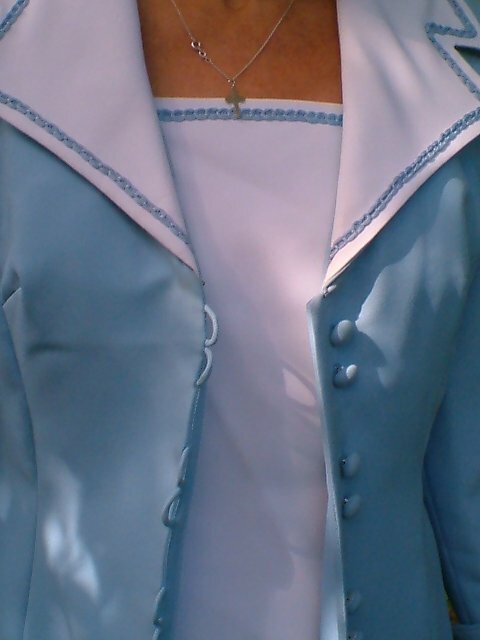 The main colour is powder blue, flattering to most complexions, with a big white collar. 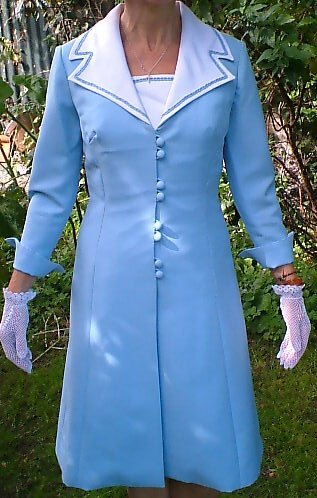 This is trimmed with blue braid, and that part of the 'dress' just glimpsed at the neckline echoes this theme. 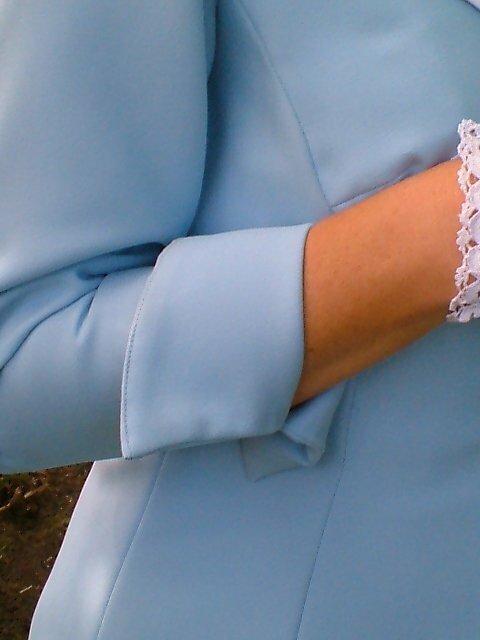 The sleeves are long, but have vents at the cuff, allowing them to fold to bracelet length (so flattering!) 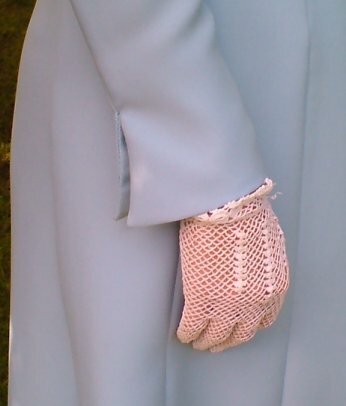 The coat ostensibly fastens with eight self-covered buttons. 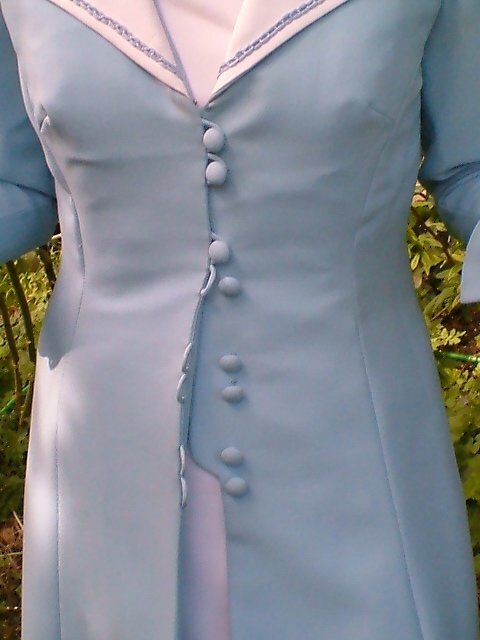 In fact the fastenings are more complicated than this: although the buttons are 'real' and the coat will undo, the 'dress' underneath falls to the same length, in a panel fixed to one side of the inside of the coat, and fastening to the other with poppas. It's in excellent condition and feels unworn, though possibly slightly grubby from storage (no apparent marks). 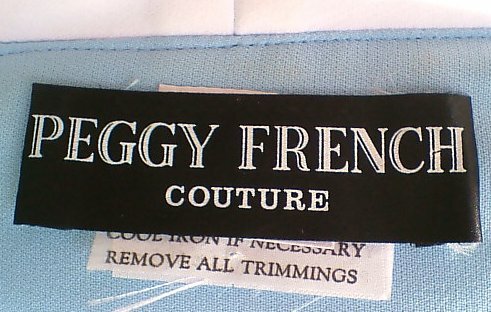 Marked as a size 12, best fit would be a modern UK size 10: approximate measurements are bust 36 ins/91.5 cms, waist 30 ins/76 cms, hips 36 ins/91.5 cms, length from back of neck 41½ ins/104 cms.